President Trump started and ended his day Wednesday by lashing out at NBC and other American television networks. He explicitly threatened the press by saying on Twitter that "network news has become so partisan, distorted and fake that licenses must be challenged and, if appropriate, revoked." It was a follow-up to the morning missive that reflected his fury over an NBC News report that said he wanted a tenfold increase in the United States' nuclear arsenal. He decried "fake news coming out of NBC and the Networks" and asked "At what point is it appropriate to challenge their License? Bad for country!" So the president is asserting that media companies which report aggressively about his administration should be punished by having their television station licenses scrutinized and possibly revoked. In between those two tweets, Trump told reporters in the Oval Office that he found it "frankly disgusting the press is able to write whatever it wants to write." Freedom of the press is a core principle of the U.S. Constitution. When a reporter followed up and asked whether he believed there "should be limits on what the press should write," Trump said, "No. The press should speak more honestly." Still, his comment raised eyebrows, especially because it was the latest remark in a string of heightened "fake news" attacks Trump has leveled against the press in recent days. Trump's new comments were condemned by press freedom organizations and some former government officials. But his threat about TV licenses is essentially toothless. It would not be possible for Trump or his allies to challenge all of the licenses held by NBC in one fell swoop. Residents would have to submit complaints about individual stations to the FCC on a market-by-market basis. The president seems to be encouraging that with his Wednesday night tweet. There is precedent for political allies of a president challenging local licenses. It happened under Richard Nixon in the 1970s, when a friend of Nixon's tried to take over a license held by the Washington Post. Nixon's ally did not succeed in his bid. Short of gross misconduct on the part of a challenged station, it's unlikely any other such attempt now would be successful either. "Whatever other legal problems [NBC parent] Comcast may have, this is not one of them," Andrew Jay Schwartzman, an attorney who works at the Georgetown University Law Center and specializes in telecommunications law, told CNN. "Comcast knows full well that the FCC will never, ever, deny its license renewal applications." The FCC is technically an independent body, not subject to the president's orders. FCC Chairman Ajit Pai -- who is a Republican appointed to his current post by Trump -- said in March that his job is not to be a "political actor." "It is simply to be somebody at the FCC who, as I said, is administering the laws of the United States," Pai said. "I'm simply not going to wade into that kind of political debate." Neither Pai nor an FCC spokesperson immediately responded to requests for comment about Trump's tweet. But former FCC officials were quick to skewer the president. "To me it's just incomprehensible that because of the content of NBC News that somehow their license would be at risk," Alfred Sykes, a Republican who served as chairman of the FCC under George H.W. Bush, told The Wrap. "This madcap threat, if pursued, would be blatant and unacceptable intervention in the decisions of an independent agency," echoed Michael Copps, a Democrat who served as FCC commissioner under both George W. Bush and Barack Obama, in a statement to HuffPost. "The law does not countenance such interference. President Trump might be happier as emperor, but I think the American people would strip him of his clothes on this issue." A spokesperson for NBC declined to comment. Trump has increased his attacks on the media in the past week. Last week, he urged the Senate Intelligence Committee to investigate news outlets for publishing supposed "fake" stories. 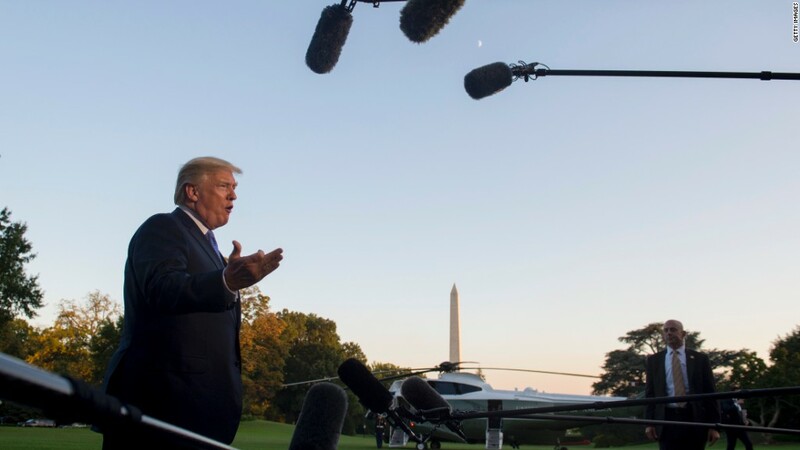 Over the weekend, he hinted it was perhaps time for a law that would require broadcasters to give equal time to both sides of the political debate when discussing public policy. "At what point are we going to silence media critical of the President?" tweeted Rep. Adam Schiff, the ranking Democrat on the House Intelligence Committee. "When we cease to have a First Amendment and a democratic government."